You are here: Home › News › Reservoir No Longer Needed. 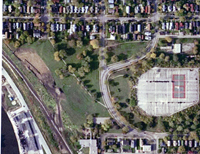 , regarding the Kilbourn park reservoir plan. The Commission’s focus is on the physical plan as it impacts the existing hill structure and is not involved in programming ideas for the park.